The scramble for the signatures of undrafted free agents has well and truly kicked off now that the 2018 NFL draft has ended. The Browns wasted no time in grabbing a few players they see as maybe having potential. The three signings I think could have the best chance of achieving something with the Cleveland Browns are the three at the top of the list. Desmond Harrison has the God-given natural size and ability to be a good left tackle in the NFL but he appears to be yet another kid whose character could derail any chance of a career playing football. I like that the Browns have picked him up as an undrafted free agent to see who he is and if he could be the teams LT at some stage in the future. Harrison has missed a lot of playing time in college due to suspension and deciding to take time away from the game (2 years). It seems the people in Cleveland who are responsible for turning kids into responsible adults who want to succeed in the game are going to have their hands full after this draft! Trenton Thompson is a player I looked at before the draft as a possibility to be drafted by the Browns to add a bit more to the interior of the defensive line. He actually had a draft projection of rounds 4-5 as where he could be taken but it appears his “undisclosed medical emergency” and subsequent run-in with police due to “an adverse effect to medication” could have scared teams off. He’s also a player who’s described as one how plays with pain and has suffered a few injuries during his time in college. He appears to be a player of talent but maybe the NFL might be too much for his body to take? Time will tell but I was pleased to see the team picked him up and will give him a chance. Zaycoven Henderson is another DT given a chance by the Browns and is yet another who has potential but also as character issues. I’m starting to wonder if any player in the latter stages of the draft and who go undrafted don’t actually have character issues. He was, apparently, arrested and charged with pointing a rifle at a group of people and tampering with evidence which got him suspended indefinitely by his college but before that he’d also been suspended for violating athletic department rules….seems like another nice, smart kid, huh? According to the work done on him by the guys over at PFF, he looks like he could be a decent player but it will come down to his character and desire to whether he can make anything of his opportunity. The other players on this list probably won’t come to much but Montrel Meander is raw but has good size and speed to be a safety in the league after playing as a wide receiver at Texas and I think could contribute on special teams. He’s another one who has had a sexual assault charge against him that he was later acquitted of whilst at Texas. He transferred to Grambling after the charge. After doing a bit of research on the kids taken towards the end of the draft and about those taken as undrafted free agents, I feel a little deflated at the number of charges that have been levelled against them. Sexual assault charges, failed drug test and drug possession, as well as the rule-breaking, doesn’t make these guys look like they have much respect for themselves or the people that happen to be around them. Will any of them turn it around and become known names to NFL fans? I have no idea but things don’t exactly look good for them right now. I’m glad the Cleveland Browns are giving them a chance and I hope some of them do indeed become good NFL players and can become good people. And for those who find themselves in this situation due to health and injury issues, I wish them all the best for the future and hope they can achieve what they want in the game. John Dorsey Getting It Done! 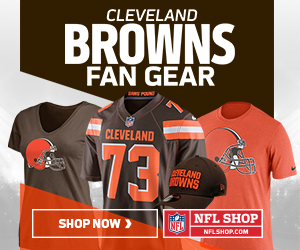 Will Joe Thomas Play Again?